As tensions mount between Beijing and New Delhi, a state-run Chinese paper has warned India against its recent provocations. Last week, the Indian government expelled three journalists working with China’s Xinhua news agency, citing intelligence "concerns." The move was condemned by Xinhua’s New Delhi bureau chief, saying that "no explanation has been given for the denial of visa renewal." In an editorial published on Sunday, China’s Global Times suggested that India’s moves are likely part of its opposition to Beijing’s inclusion in the Nuclear Suppliers Group (NSG). "If New Delhi is really taking revenge due to the NSG membership issue, there will be serious consequences," the editorial reads. The editorial also warned that refusing visas for Chinese journalists could have a disastrous effect on relations between the two countries. "The act has sent negative messages and media communications between China and India will inevitably be negatively impacted," it reads. "India has a suspicious mind." "The China-India bilateral relationship now is on a sound track, with a by and large tranquil border and steadily booming trade. The two in general are able to maintain neutrality with regard to international affairs that are related to the other side. "But problems emerge when it comes to issues that the two are at odds." The visa denial comes days after India deployed nearly 100 tanks to the Chinese border in the mountainous border region of Ladakh. This move was similarly criticized by Beijing, which warned of potential economic consequences. "It is puzzling that while deploying tanks near China’s border, India still strives to woo Chinese investment," Global Times wrote last week. "In an index on the ease of doing business, from the World Bank, India currently ranks 130 out of 189. Despite India’s stated goal to rise to within the top 100 this year, the nation still has its work cut out for them." India has also inserted itself into the South China Sea conflict, where the US and its Pacific allies have accused Beijing of attempting to establish an air defense zone. 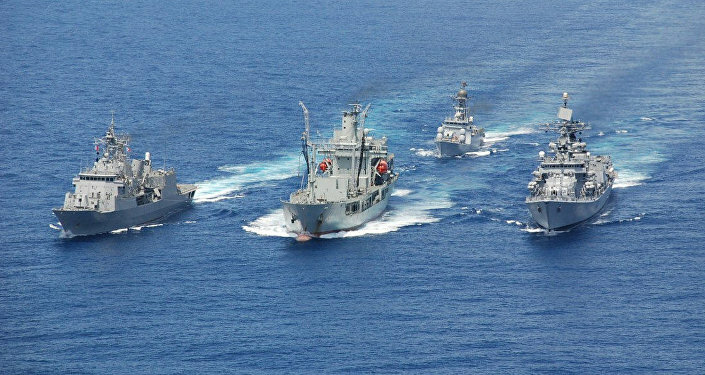 Earlier this month, New Delhi deployed three ships to the region. "The visiting ships are also likely to conduct exercises with the Royal Malaysian Navy aimed at enhancing interoperability in communication as well as Search and Rescue procedures," reads a statement from India’s Defense Ministry. "Indian society in recent years has witnessed soaring nationalism," Global Times says. "Crowned by Western public opinion as the world’s biggest democracy, the Indians have a strong sense of pride. China should stick to a friendly strategy toward India, as we believe bilateral friendship is in the interests of India as well."